The Independent National Electoral Commission on Sunday released the results of the supplementary governorship elections conducted in some states that were initially declared inconclusive. The states included Sokoto, Plateau, Kano, Benue and Bauchi. In the election results declared, the Sokoto State Governor, Aminu Tambuwal and his Benue State counterpart, Samuel Ortom, both of the Peoples Democratic Party, narrowly edged their closest rivals to emerge victorious at the governorship supplementary election conducted in their states on Saturday. 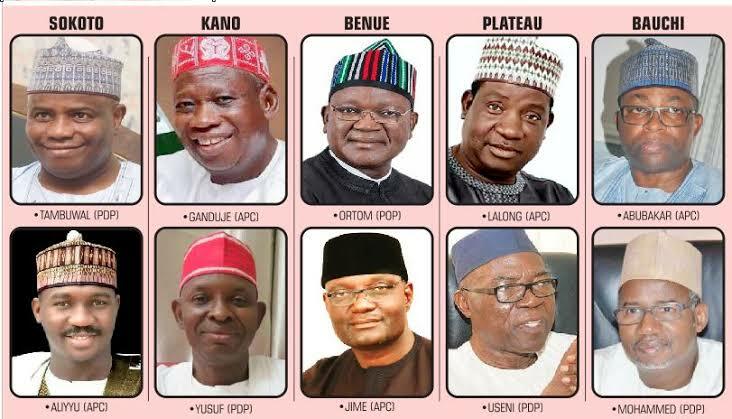 Meanwhile, Governor Simon Lalong of Plateau State and his Kano State counterpart, Abdullahi Ganduje of Kano State, of the All Progressives Congress, were also returned elected by INEC. According to INEC, Tambuwal won a second term with a slim margin of 342 votes, polling 512,002 votes to defeat his former deputy, Ahmed Aliyu of the APC, who garnered 511,660 votes. In Kano State, Governor Abdullahi Umar Ganduje defeated Abba Kabiru Yusuf of the PDP with a marginal difference of 8,982 votes. Meanwhile, in Bauchi State, Returning Officer Muhammed Kyari announced that the PDP polled 6,376 votes, while the APC had 5,117 in the supplementary election.